Sometimes we all get that sudden urge, an inkling of a desire to raid an art supplies store and get creative. Then halfway through the sketching, we get disappointed and start over, and then the stack of rejected “Cute Drawings” piles up until we just quit altogether. But other times, we don’t even get to the sketching part ’cause we don’t know what to do in the first place. But perhaps with a little bit of inspiration, you can crank up the creativity fodder and get things going! 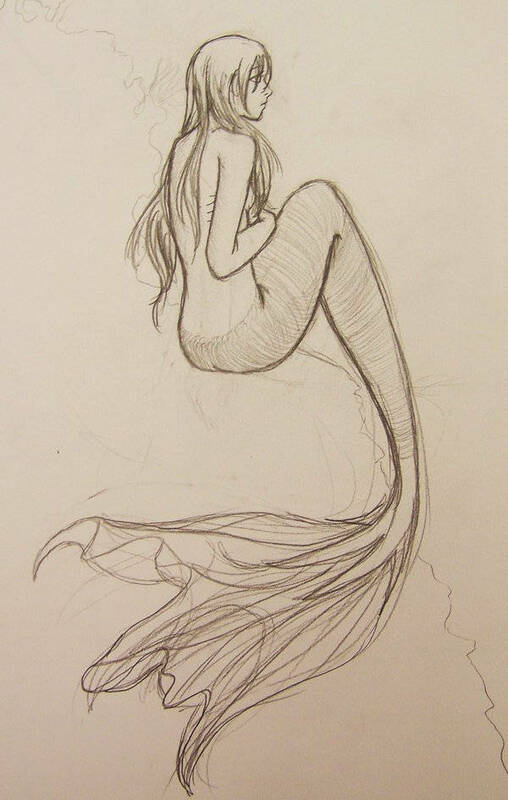 Take some from these easy mermaid drawings. They come in several art styles and in a JPG format for ease of download. 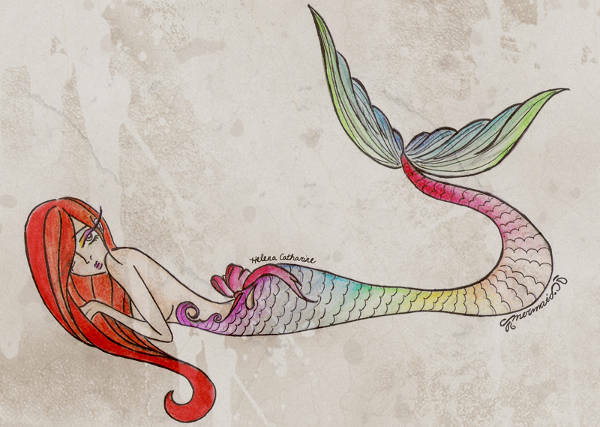 While the existence of mermaids has caused quite a stir among people worldwide—resulting in some debates, a couple of hoaxes, and the occasional high-budget production—no one can help but be drawn to this mythical creature. 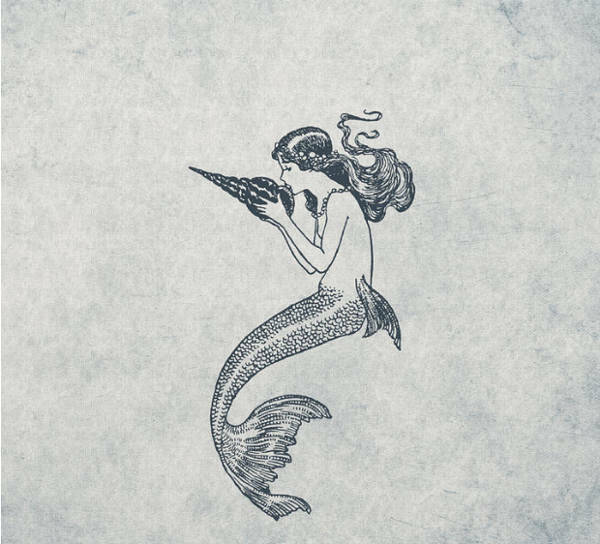 For many who’ve also known about the origin of the beautiful mermaid, she is an inhabitant of the sea, a seductress with her beauty and melodic songs as her choice lure. However, there are still a few more depictions, and the ones you see in this collection just barely scratch the surface. 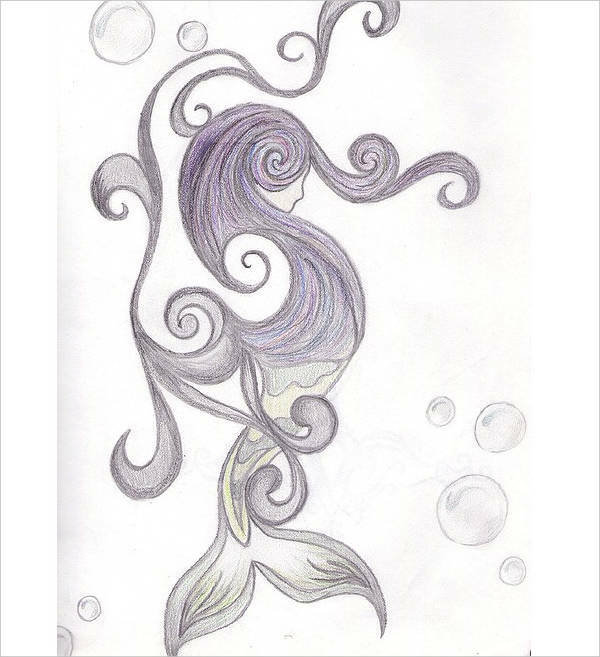 In “Anime Mermaid Drawing,” you see one with milky and fair skin, flowing purple locks, and a shiny blue tail while in “Colorful Mermaid Cartoon Drawing,” you get another with flame-red hair and an iridescent tail (this being more reminiscent of an entirely different cartoon mermaid). Aside from differences in color selection, there’s a little something like “Mermaid Nautical Drawing,” wherein an appendage is added. 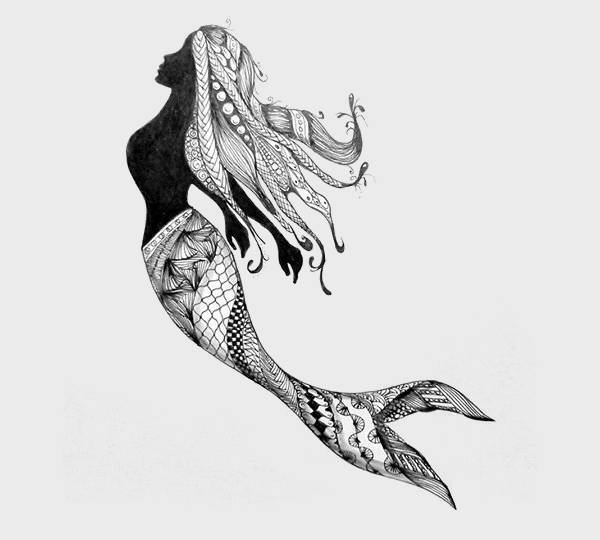 Not many see mermaids for their flowing hair and glorious tail alone, but with “Abstract Mermaid Drawing,” you get just that and still the same beauty that these beings are known for. 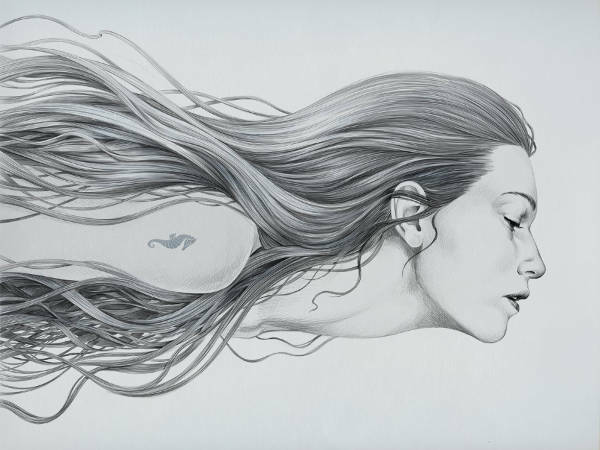 The “Mermaid Face Drawing” isn’t like most Pencil Drawings you’ve seen. No. The siren here is drawn in such a way that the light, the movement from being underwater are both captured. 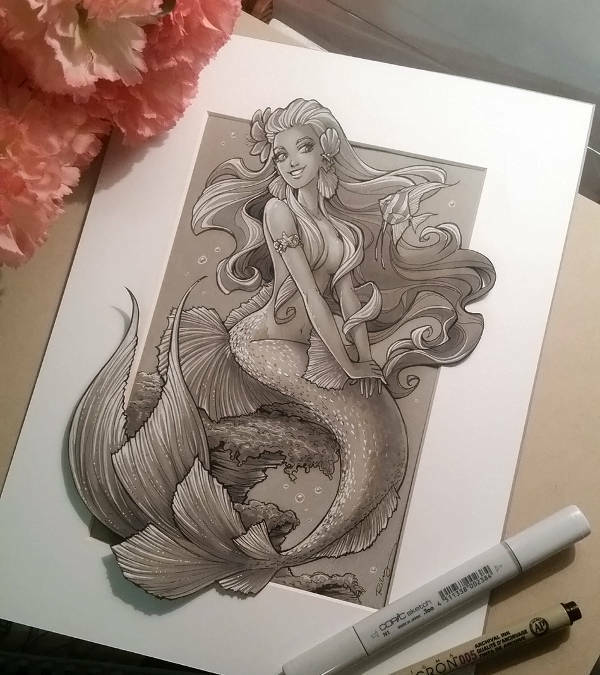 Imagine a little number like “Vintage Mermaid Drawing” (maybe even a colored version of it) in a pristine white frame much like in the picture being propped up on your study table or something. Looks good, doesn’t it? Of course, you would love to look at something beautiful as you log into your computer. 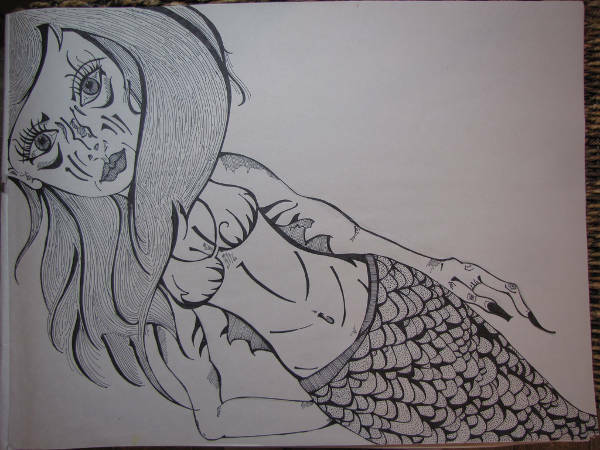 So download “Mermaid Face Drawing,” set it as your desktop background, and you’re done! Some coloring action is always a fun afternoon activity for the little ones. 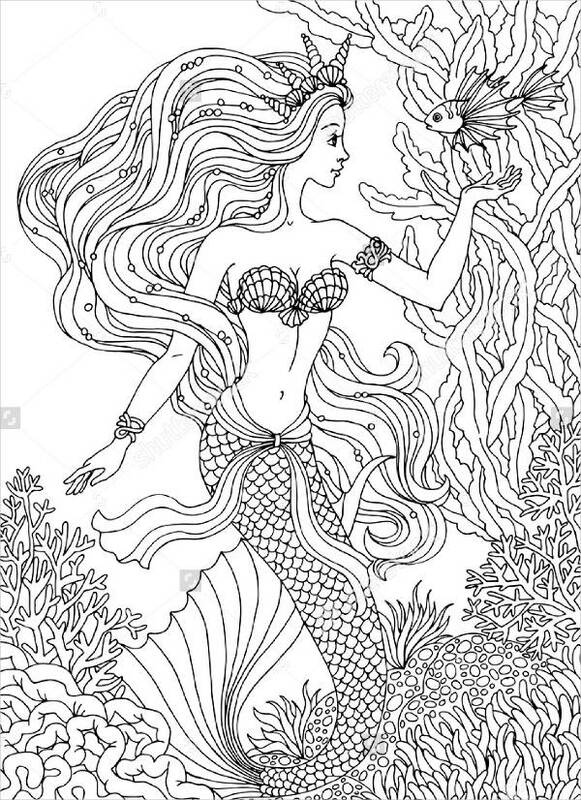 Just download “Hand-Drawn Mermaid Drawing,” print it out, and bring out the crayons and pastels. Now that we have the types of offerings and manners of application covered, you can go ahead and download! But y’know, if you’re more interested in something more suited for your funny bone, check out these Funny Drawings.